The Nebula Awards Showcase volumes have been published annually since 1966, reprinting the winning and nominated stories of the Nebula Awards, voted on by the members of the Science Fiction and Fantasy Writers of America (SFWA). The editor of this year's volume, selected by SFWA’s anthology Committee (chaired by Mike Resnick), is American science fiction and fantasy writer Greg Bear, author of over thirty novels, including the Nebula Award-winning Darwin’s Radio and Moving Mars. 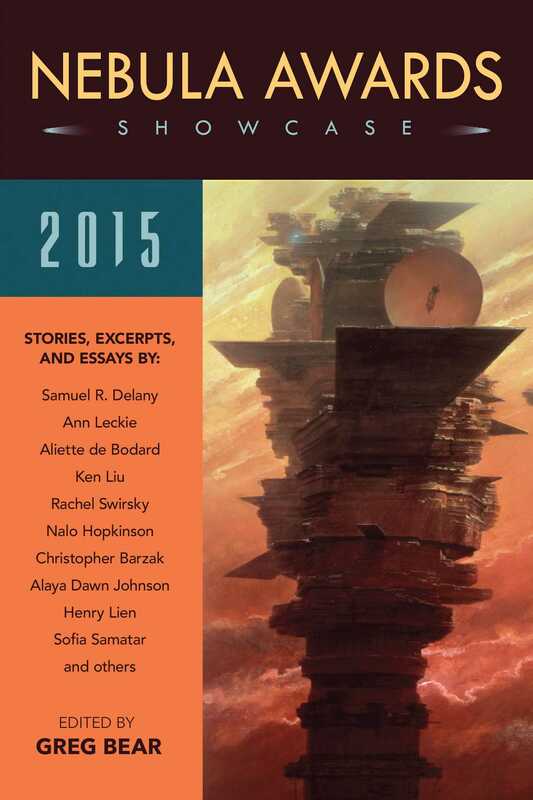 This anthology includes the winners of the Andre Norton, Damon Knight Memorial Grand Master, Rhysling, and Dwarf Stars Awards, as well as the Nebula Award winners, and features Ann Leckie, Nalo Hopkinson, Rachel Swirsky, Aliette de Bodard, and Vylar Kaftan, with additional articles and poems by authors such as Robin Wayne Bailey, Samuel R. Delany, Terry A. Garey, Deborah P Kolodji, and Andrew Robert Sutton.